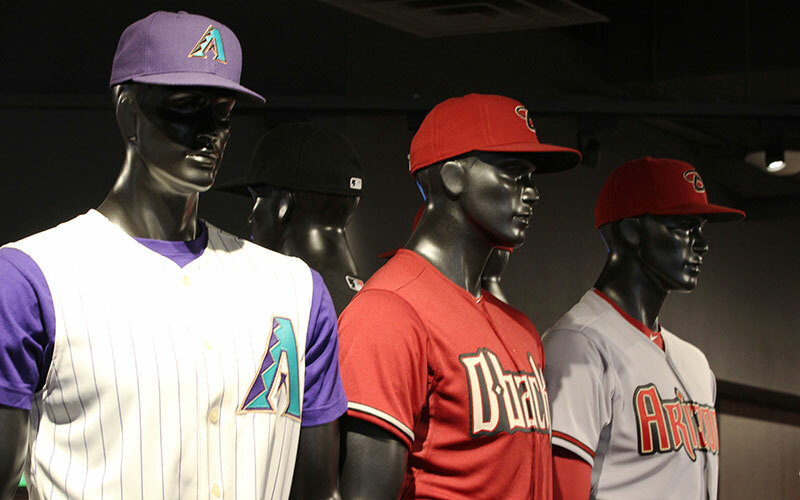 Fans of those colors rejoiced this year as the team wore throwback jerseys for each Thursday home game as part of its “Throwback Thursday” promotion. 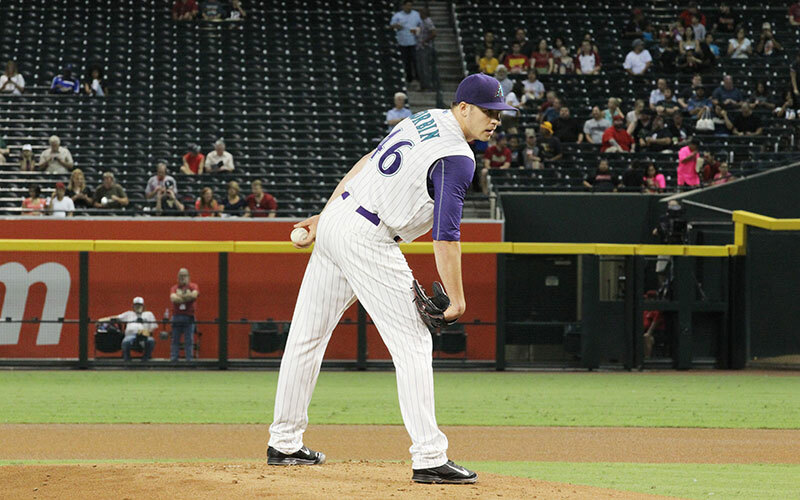 The Diamondbacks wore the purple and teal from their inception in 1998 until the end of the 2006 season when the team switched to its current Sedona red, Sonoran sand, black and white color scheme. 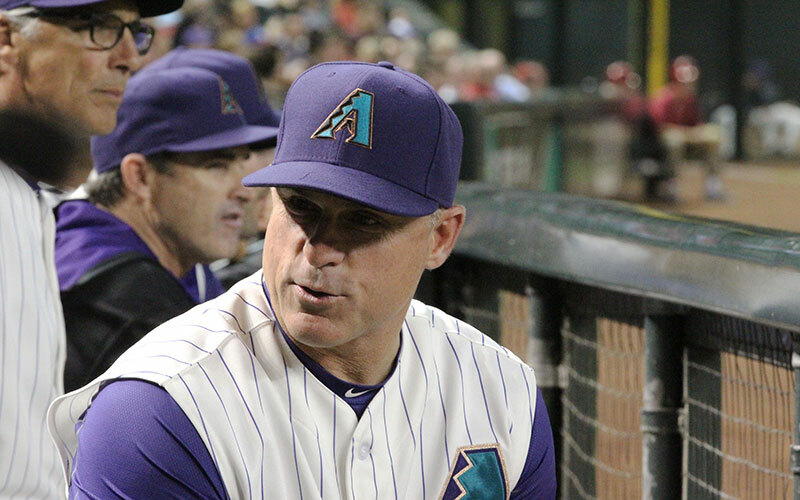 In addition to its only World Series crown, the team won its first three division titles in the purple and teal. 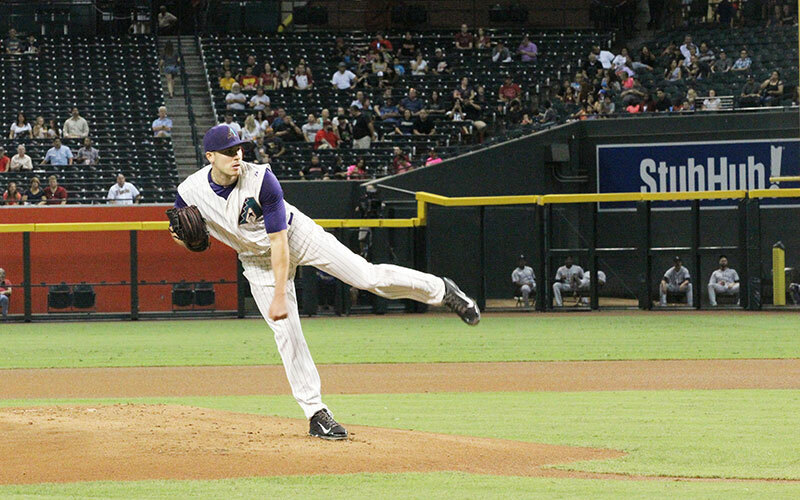 The promotion appeared to be successful: In five Thursday home games a season ago, the Diamondbacks averaged 19,620 fans per game, while in its seven 2015 Thursday home games, the team averaged 20,826 fans. 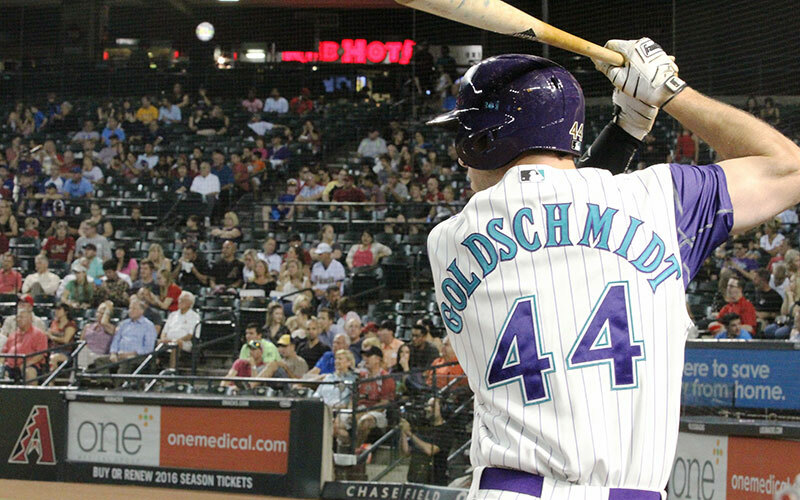 In the past, the Diamondbacks wore uniforms from their history on one weekend only as part of the franchise’s Reunion Weekend, which featured an alumni game with former Diamondback players. 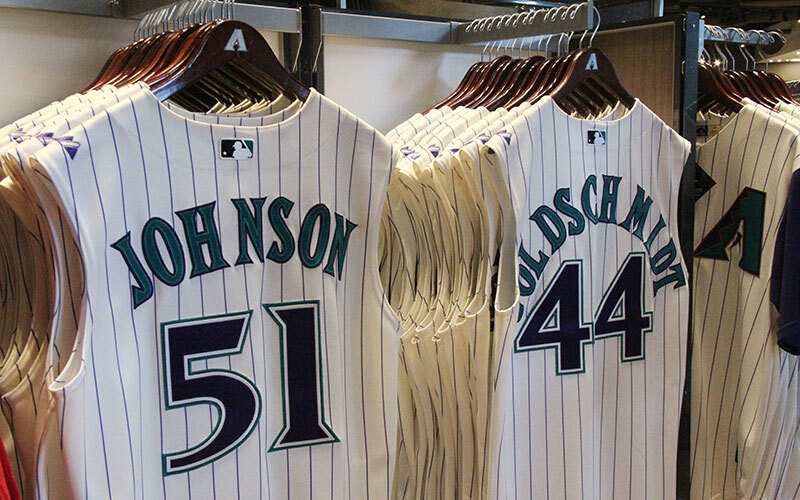 Fans were glad to see the old colors on a more regular basis this season. 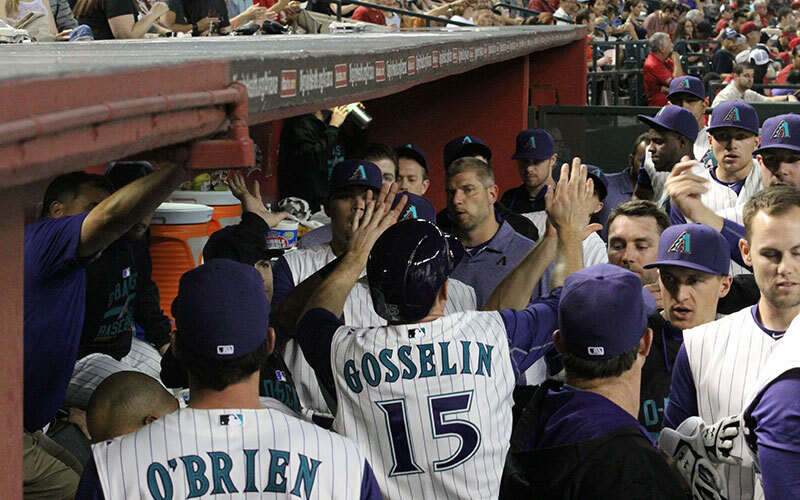 Diamondbacks catcher Tuffy Gosewisch grew up in Arizona, attending Scottsdale’s Horizon High School before playing baseball at Arizona State University. 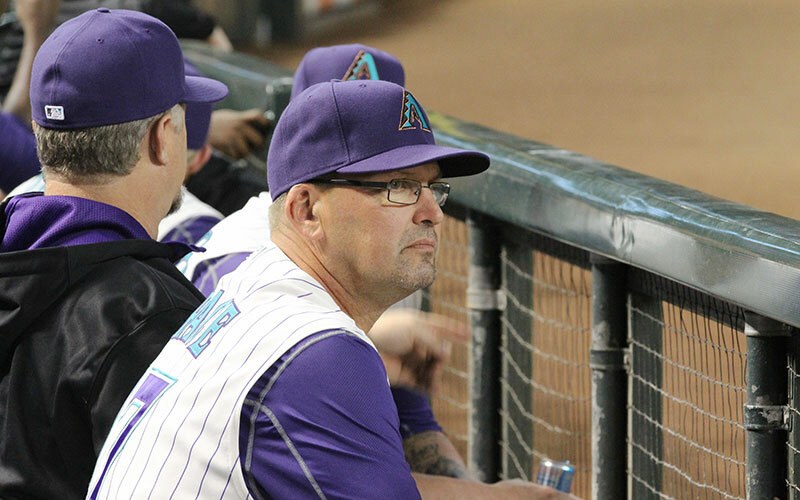 “I watched the Diamondbacks as soon as the team started in ’98 because I lived here, and then all the way through college … my whole life really,” Gosewisch said. 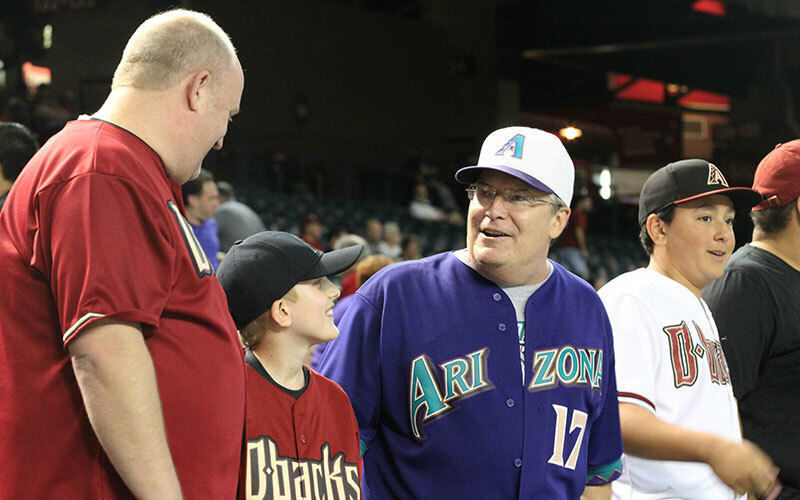 The throwback games allowed him to put on the same jerseys he grew up watching on television. “It’s a dream come true,” Gosewisch said. 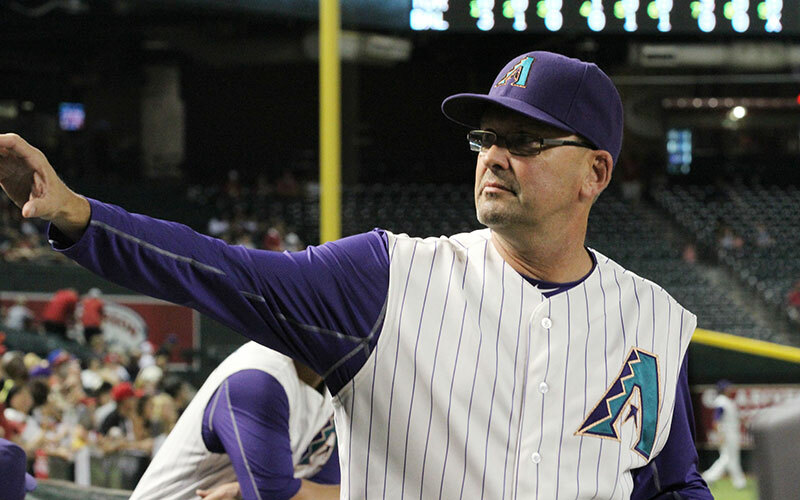 “It’s a part of Diamondback history that I think it’s important to hang on to because there was a lot of great players, great players, that wore those colors and I think it’s good to throw back every Thursday,” Grace said.